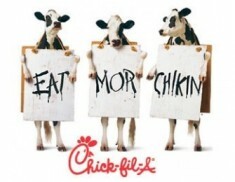 Thank you to all of the families who came out to support Chick-fil-A Spirit Night in March. We had a great turnout and the weather cooperated allowing the children some extra room to run around outside in the play area! A special thank you to Dr. Doe, Mr. Hill and the wonderful teachers and staff at Timber Ridge who showed their support that night and to Chick-fil-A for donating the ice cream and $515 to our Foundation! A quick Art Show re-cap: Thanks to all of the families who joined us in February to celebrate the children’s artwork. We framed and sold 330 masterpieces bringing in nearly $2,000 to the Foundation! IT’S TIME TO ORDER YOUR TICKETS! Over 50 talented Timber Ridge students have been working very hard since January learning lines, dance moves and songs. Please come out and show your support for your friends and classmates on April 20th and 21st at the Dodgen Middle School auditorium. The curtain goes up at 2 pm. Tickets can be purchased through a pre-order form that will come home in your child’s Thursday folder or at the door, while they last! Additional forms can also be found here. As always, we thank you for your continued support of the Foundation. We are proud to serve Timber Ridge and we look forward to seeing you at the show on April 20th and 21st!